Choosing additional to school section for his beloved little daughter, the parents often stop at the art of ballet. Ballroom dancing helps baby to maintain the correct posture, they make a stylish child develop a musical ear and eliminate the complex. 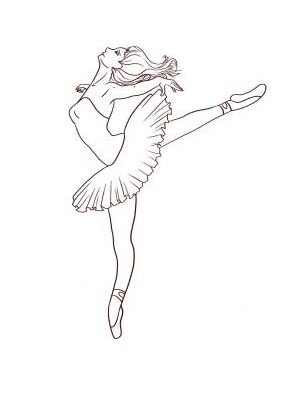 Many girls dream of becoming real famous ballerinas, but for most of them, the ballet will forever remain only a childish infatuation. 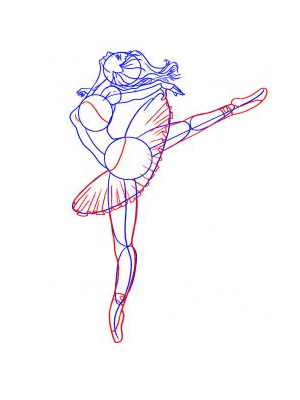 Very often, representing a big ballet stage and a full house of spectators, the girls depict dancers on his drawings. Start drawing ballerinas should be the image on the sheet of paper three small circles. 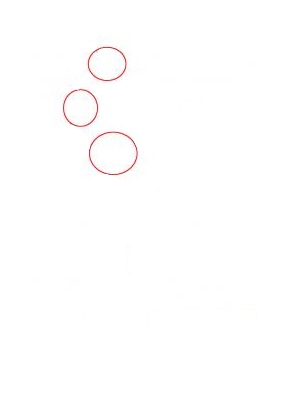 Further, all three circles need to connect two smooth lines. 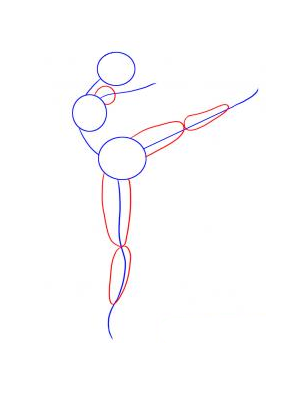 From the bottom circle to hold two lines: one down and the other to the right. These will be the legs of a ballerina. From the middle of a circle also need to draw a smooth pencil line to the right (hand). Now the length of each of the bottom two lines should be depicted on the two long oval. From the junction of the middle of the circle and coming from them the line you want to draw a small circle. 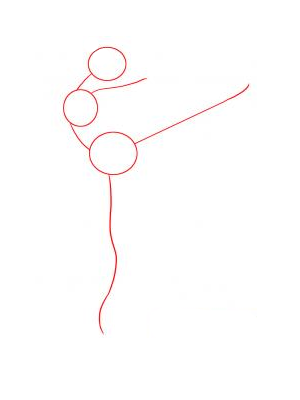 You then draw the ballerina neck, face and hair. 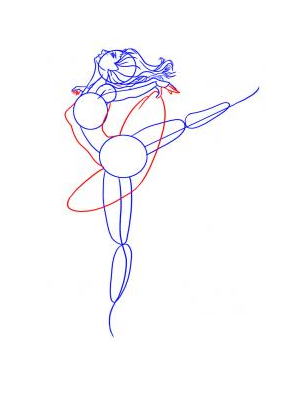 The line coming from the middle of the circle you must turn in a hand of the ballerina, aside. Also now to show the shoulder of the second hand. Now you need to draw her ballerina costume: corset and short round skirt. 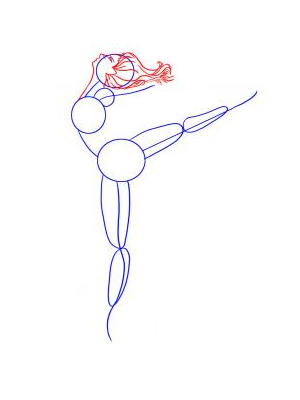 And at this stage of drawing of a ballerina should be added to her hands, showing them the thin delicate fingers of the girl. 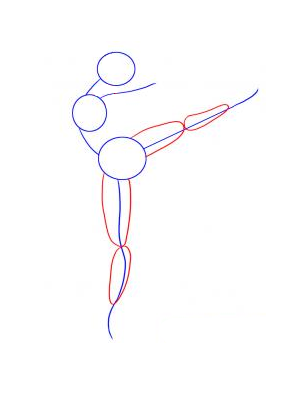 Next, you need to draw dancer the legs in special ballet shoes (Pointe shoes). The skirt girls want to show the many small folds, giving this part of the costume is light and airy. Pencil drawing of a ballerina is almost ready. Can only delete using the eraser all the extra construction lines. 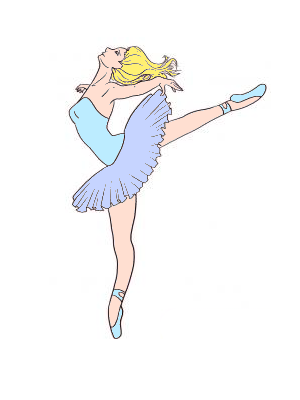 When coloring ballerina, it is desirable to use light and delicate colors: blue, pink, beige, milk.